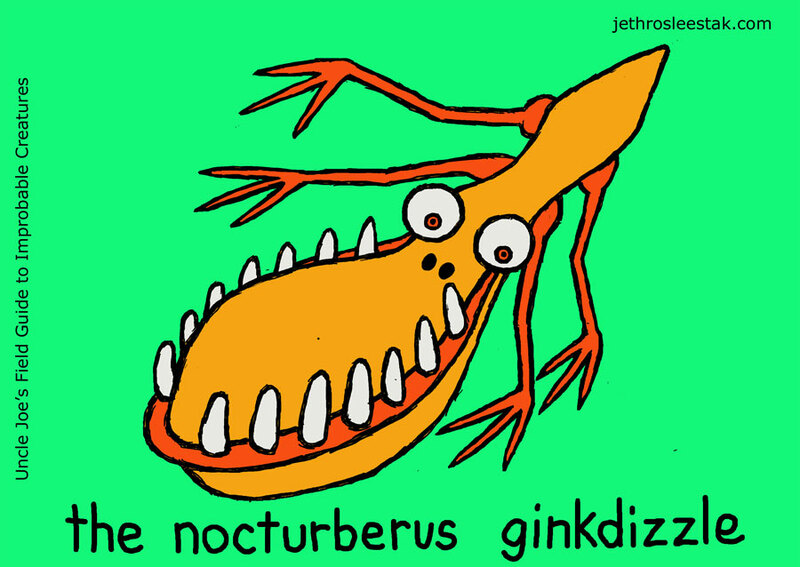 The Nocturberus Ginkdizzle is a tiny parasite that lives in people’s eyelashes. The Ginkdizzle’s saliva and droppings are mildly hallucinogenic, and when these fall into the host’s eyes, the host exhibits all sorts of irrational behavior. It is thought that the droppings of the Nocturberus Ginkdizzle account for more than half of all purchases from home shopping networks and at least a third of all marriages. In the 1950s, the U.S and the Soviet Union both had secret programs to weaponize the Ginkdizzle, until the Treaty of Paris supposedly put an end to them. However, conspiracy theorists rightly point out that the reelection of President George W. Bush in 2004 could only have been possible through the mass deployment of weaponized Ginkdizzles or something equally nefarious. Human eyelashes and eye folds, the belly buttons of morbidly obese persons, marsupial pouches, other hot sweaty gross places that make you wonder how it ever got into people’s eyes in the first place.